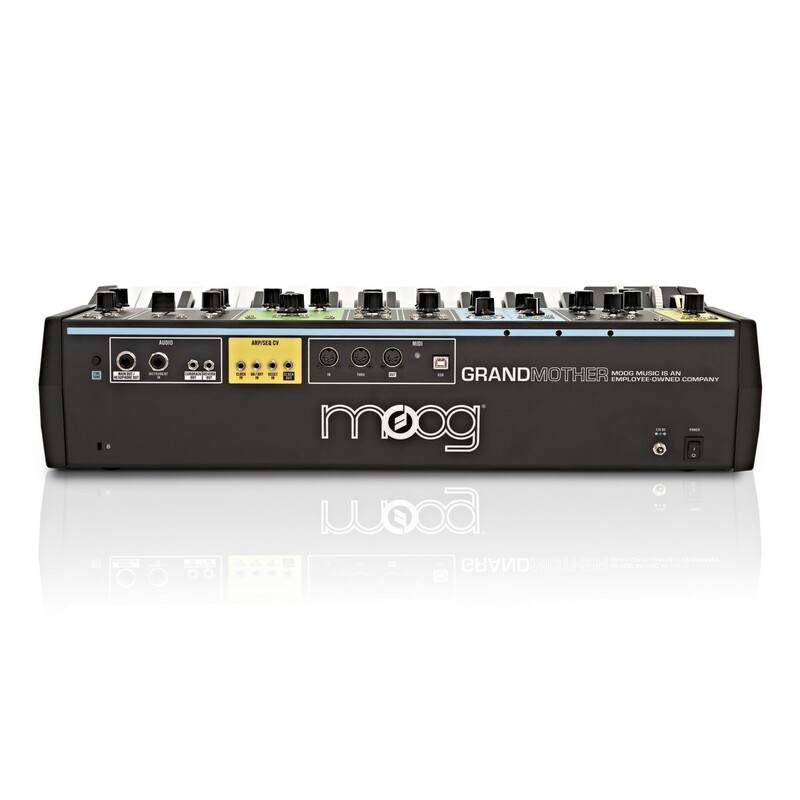 The Moog Grandmother is a versatile semi-modular analog synthesizer designed to capture the essence of Moog's modular roots. 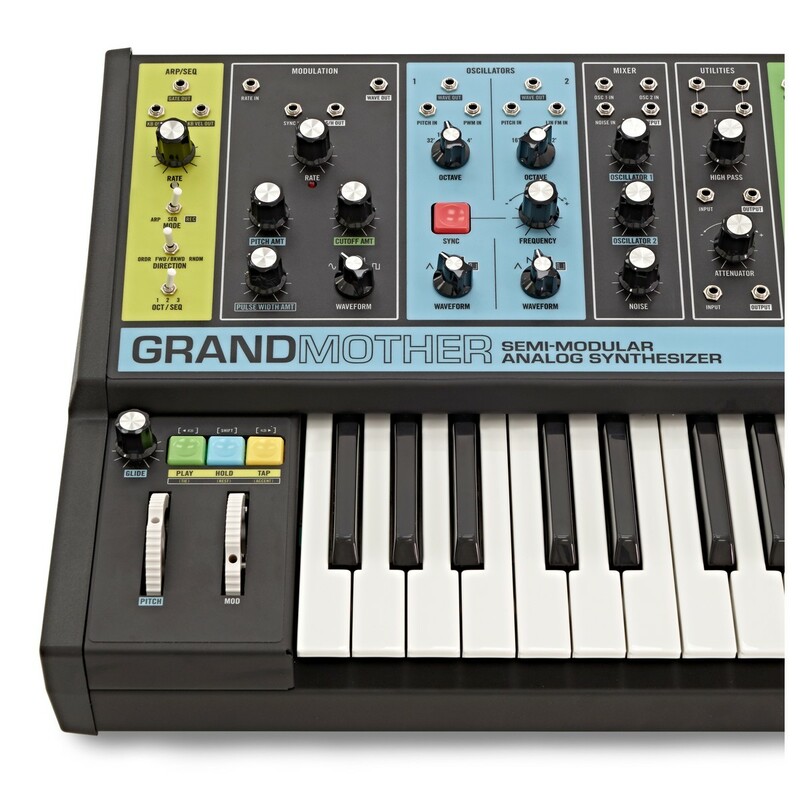 The Grandmother Synthesizer features a built-in sequencer, arpeggiator and a spring reverb tank, reminiscent of vintage synths. 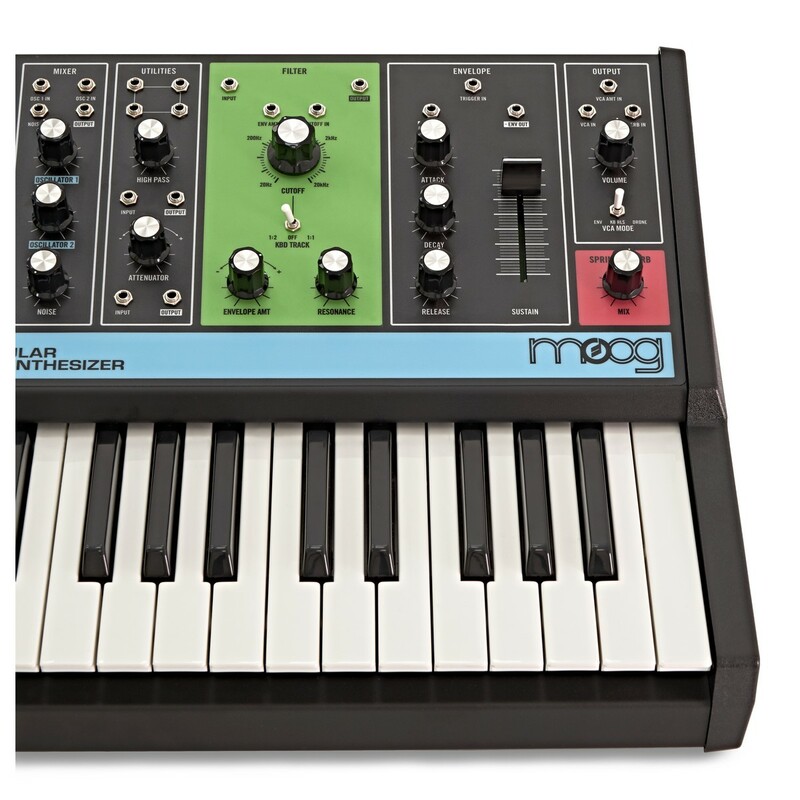 The 32-note velocity-sensitive Fatar keybed is accompanied by a mod and pitch wheel as well as vintage-style buttons for switching between octaves. 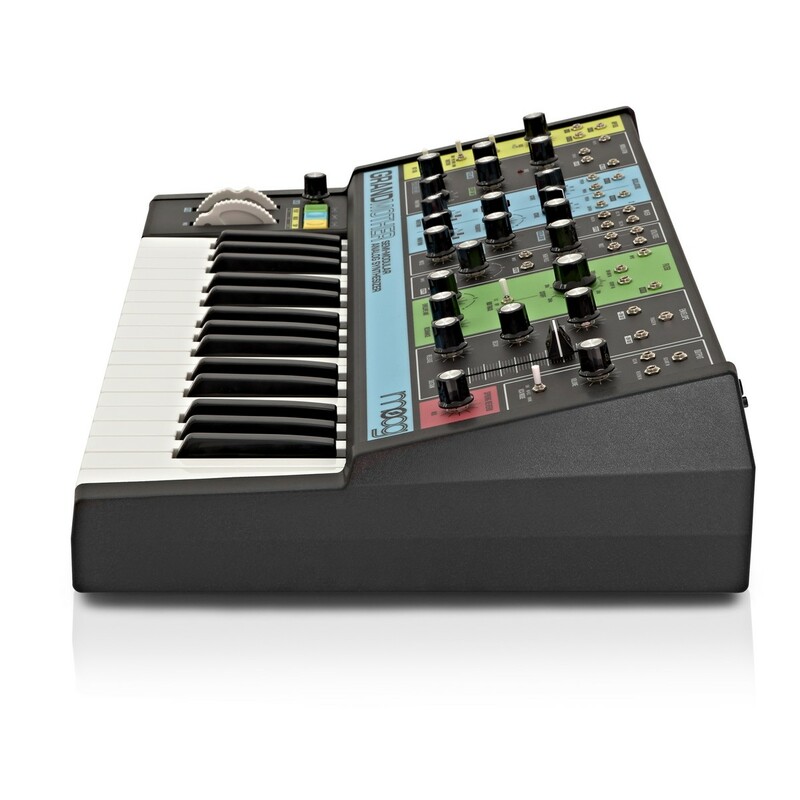 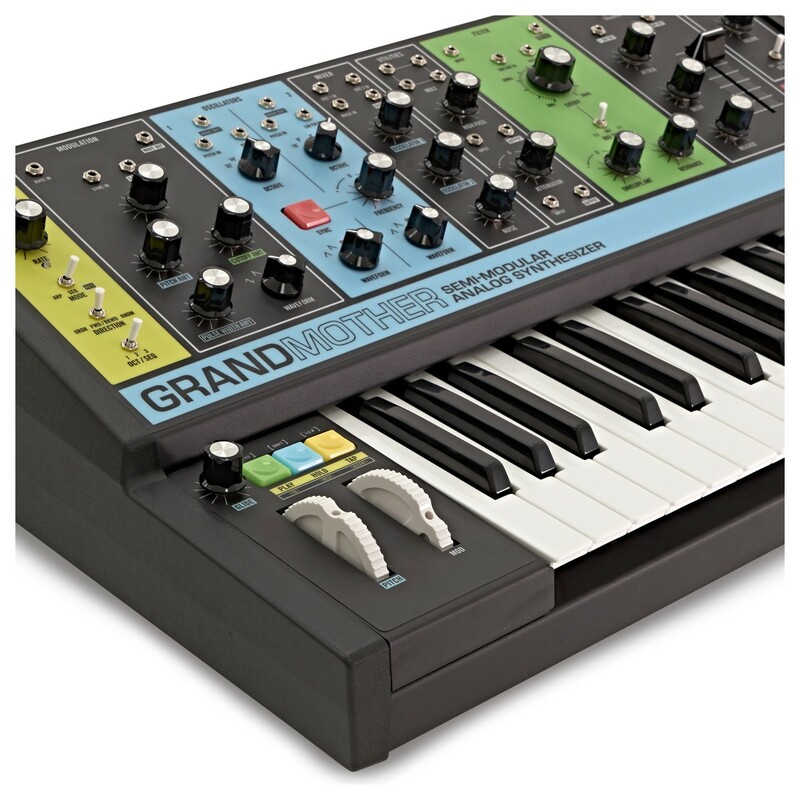 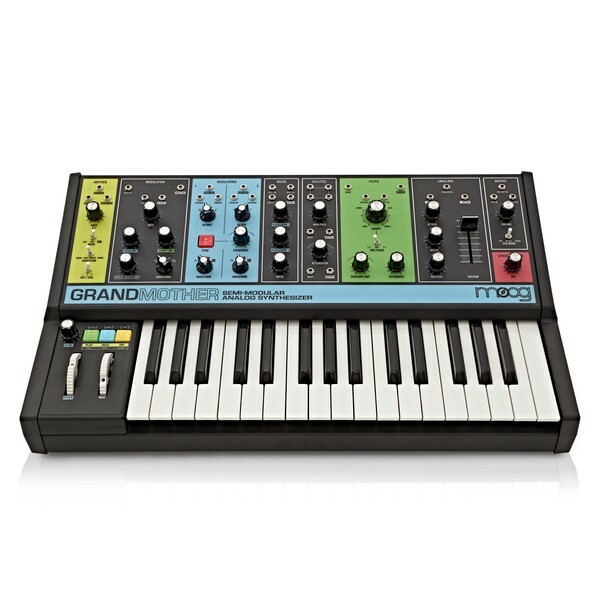 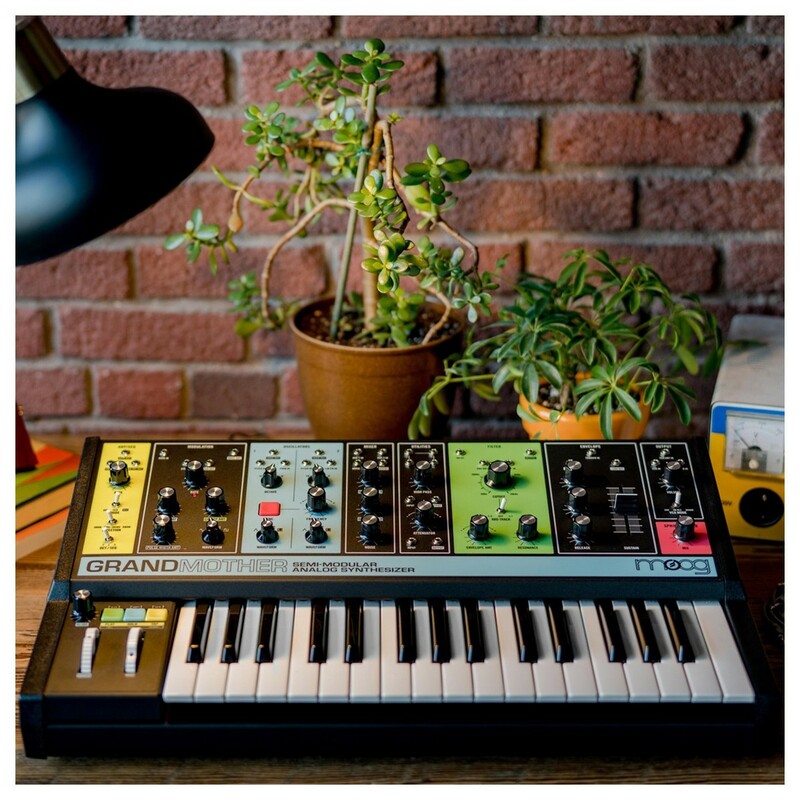 The Moog Grandmother's retro-design features a multi-coloured modular panel with vintage potentiometers. 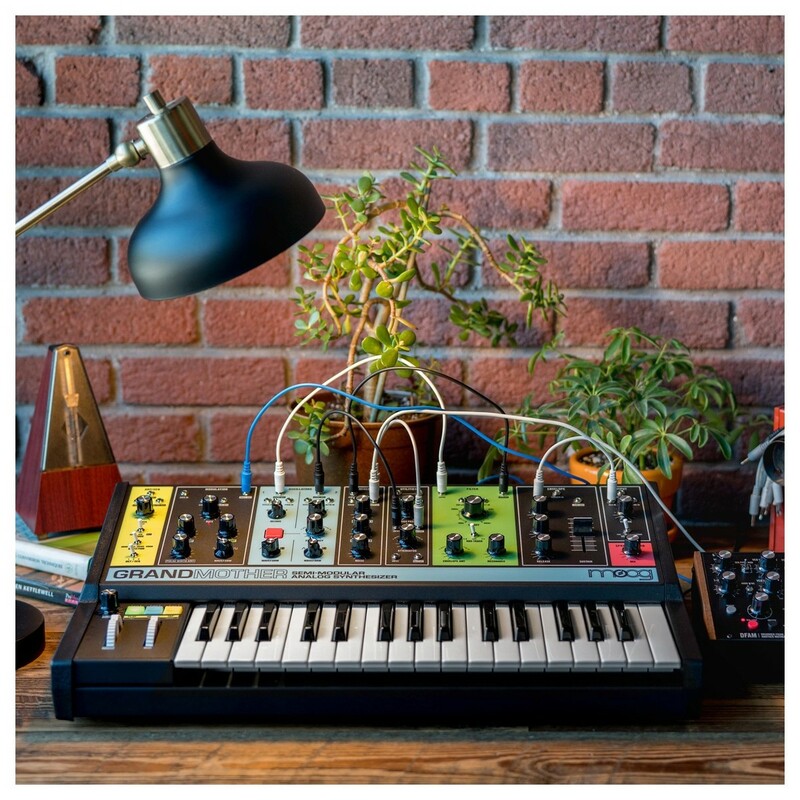 The analog circuitry and versatile controls allow you to create everything from vintage soundscapes to cutting-edge lead sounds.